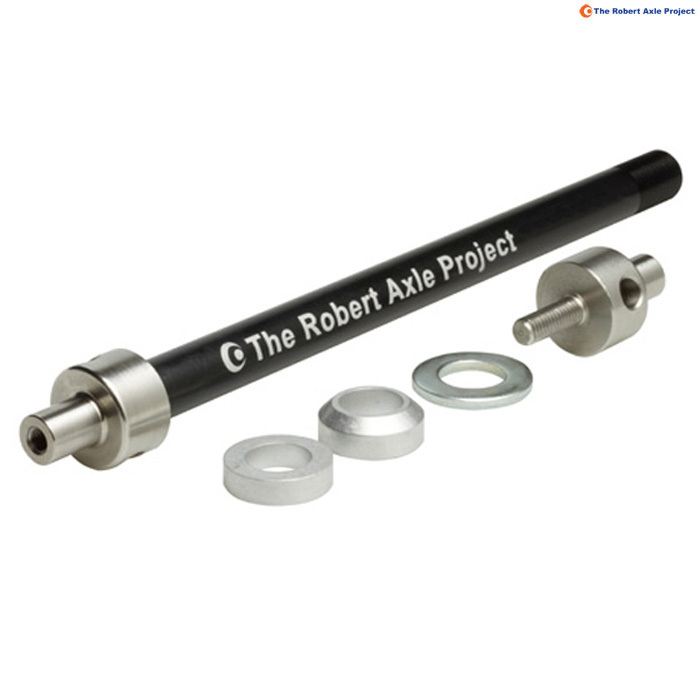 - Compatible with Syntace 12x142 and 12x148 axles as well as other manufacturers with similar dimensions. The Robert Axle project is great to meet the new requirements for cyclists. Straight out of Bend Oregon, the needs were met to provide a solid engineering solution for trailer towing with 9mm axle bikes, as designs move forward. I'm so happy with the product which despite the price point delivers on quality and performance. Get towing with whatever bike you like, with a robert axle!